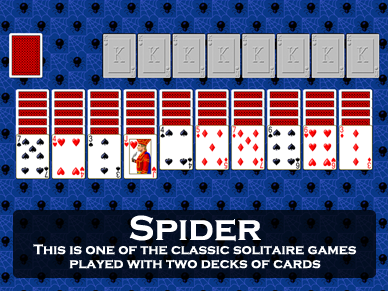 Screen shot of the game Big Spider One Suit from Pretty Good Solitaire. Big Spider One Suit is a variation of Spider. 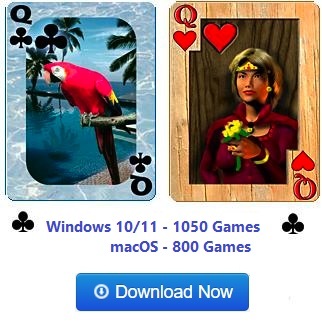 It has 3 decks of cards, modified so that all of the 4 suits in the deck are Spades. At the beginning of the game, six cards are dealt to 13 tableau piles. Only the top card is face up. The remainder of the cards form a stock. In the tableau, the piles are built down in suit (or regardless of suit, since there is only one suit anyway). Groups of cards in sequence down in suit may be moved as a unit. When blocked, clicking on the stock will deal one card to each tableau pile. 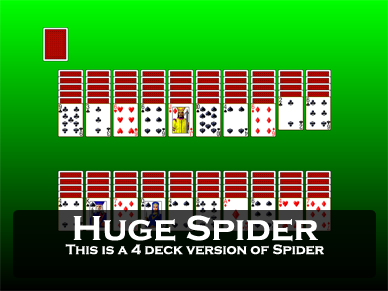 As in most Spider type games, all tableau piles must have at least one card in them before you can deal from the stock. 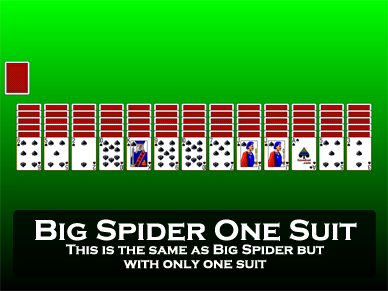 The object of the game is to arrange all of the cards in piles of 13 cards down in sequence in suit from King to Ace. 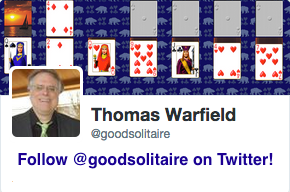 When such a sequence is formed, the cards will move out of play. 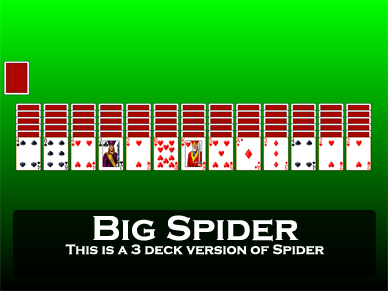 Big Spider Two Suits is exactly the same game, except that the 3 decks have 2 suits, Hearts and Spades. Tableau building is down regardless of suit, but groups of cards can only be moved if they are sequence down in suit.